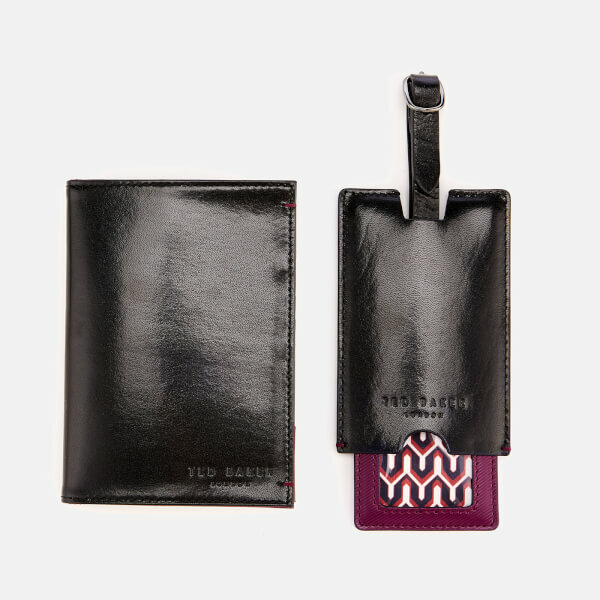 The Ted Baker 'Chuckle' gift set includes a black leather passport cover and a matching luggage tag. 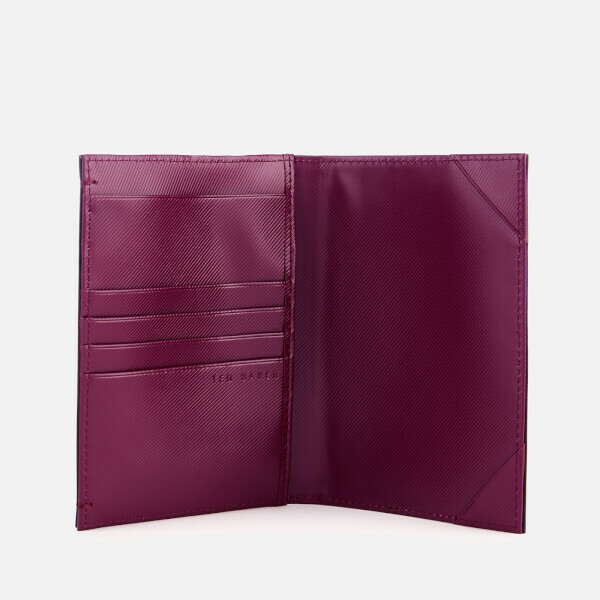 Crafted from smooth, high-shine bovine leather with a contrasting interior and embossed logo branding. 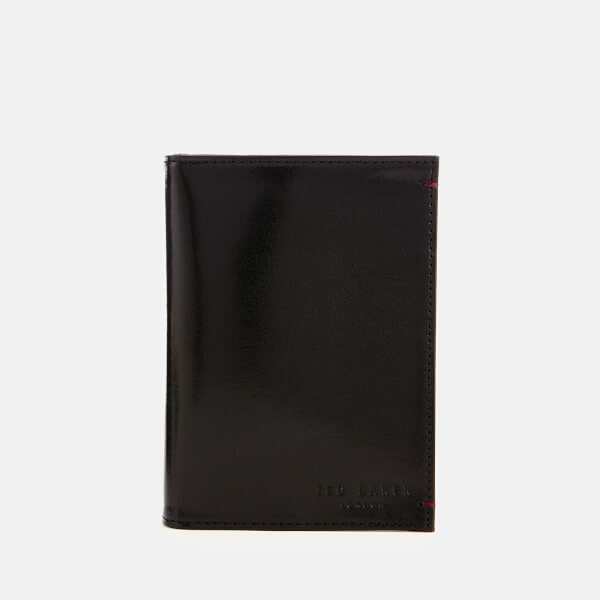 Open up the wallet to reveal a passport compartment and multiple card slots with an abstract print satin lining. Housed in a gift box. 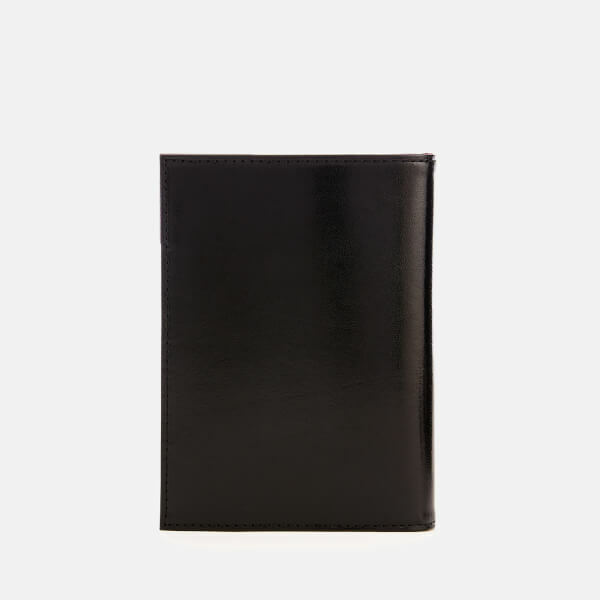 Dimensions: Passport Cover: H: 14cm x W: 10cm. Luggage Tag: H: 11.5cm x W: 7.5cm.